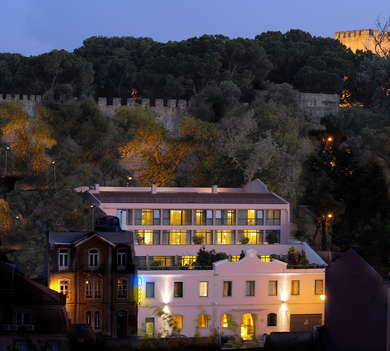 The name may be Greek in origin, but the five-strong Portuguese hotel chain Olissippo has carved out a reputation for managing elegant, historic Lisbon hotels, and this boutique spot close to the hilltop Moorish castle is a real string in its bow. With just 24 rooms it has a personal feel, and exudes a sense of luxury (think luxurious linens, thick carpets, elegant furnishings, comfy mattresses, and marble bathrooms). 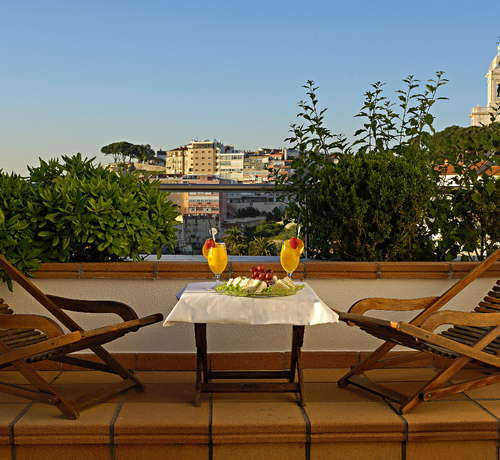 A modern hotel virtually carved into atop one of the Seven Hills of Lisbon, the hotel offers amazing panoramic views, and makes the most of them with terraces and large windows. It's a four-star hotel, but service is every bit as good as a five-star. YOU SHOULD KNOW The hotel is located on a hill, in Lisbon's tourist heartland--expect crowds year-round on the surrounding streets. Visitors with heavy luggage should take a cab to the door. Otherwise, it's a steep walk up the hill that can feel punishing in the heat of summer. The 24 rooms and suites are spread over four floors. All rooms have views, but some are more impressive than others--the Superior Rooms on the second and third floors have balconies--ideal for breakfast or drinks with a view--as do some suites. Fourth-floor rooms have floor-to-ceiling windows. The room decor is retro-chic, with neutral white and cream tones, beds are extremely comfortable, and mini-bars, Wi-Fi, and air conditioning are standard. Suites have spacious living areas with sofas and comfy-yet-stylish armchairs. Be sure to request a room with a balcony when staying during the summer. Al-fresco breakfasts or afternoon drinks with that terrific view are priceless. All rooms and suites have marble-accented bathrooms, each with a bath tub and bidet as well as extras such as bathrobes, slippers, a good range of amenities, makeup/shaving mirror, and hair dryer. 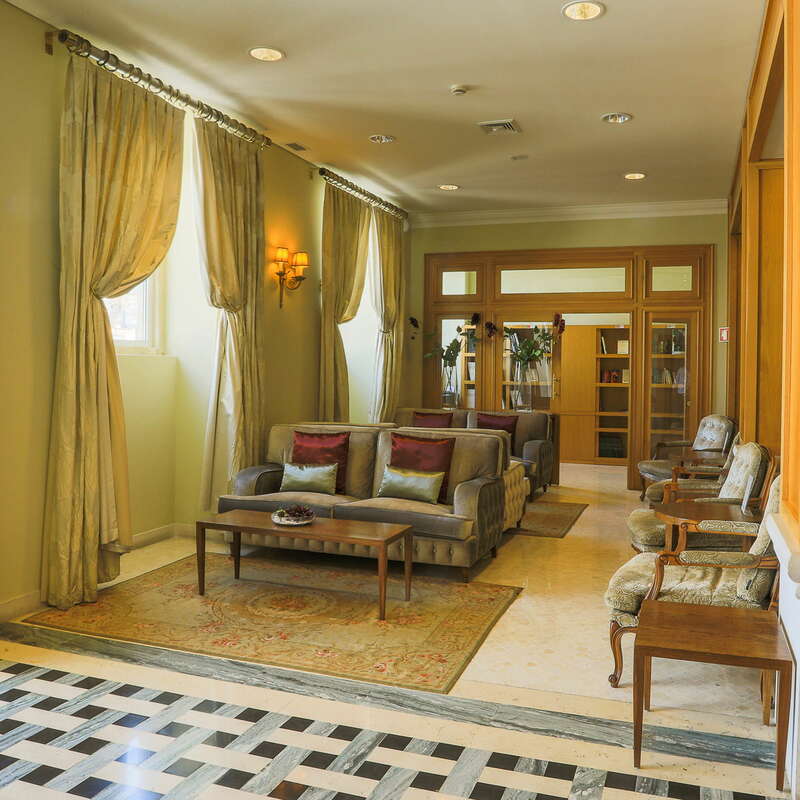 The reception area is small but smartly decorated in the same classic style as the rest of the hotel, with neutral colors and retro-chic furnishings. 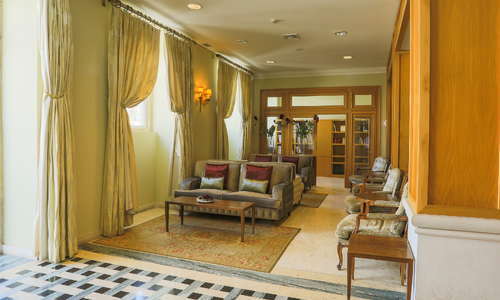 The lobby area also has a small bar with sofas and plush armchairs. Breakfast is served in a dining area on the same entrance floor. There's no restaurant at the hotel, but in-house dining is hardly necessary given the proximity to countless dining opportunities in the surrounding area. The bar serves sandwiches and simple snacks, and room service is available until 11p.m. Breakfast is a fairly lavish buffet, with plenty of hot and cold options, including some delicious fresh pastries and strong coffee to fuel a morning's sightseeing on the steep streets nearby. The hotel bar serves a good range of cocktails and wines, but with so many nightlife options nearby guests are unlikely to linger for more than one or two drinks. 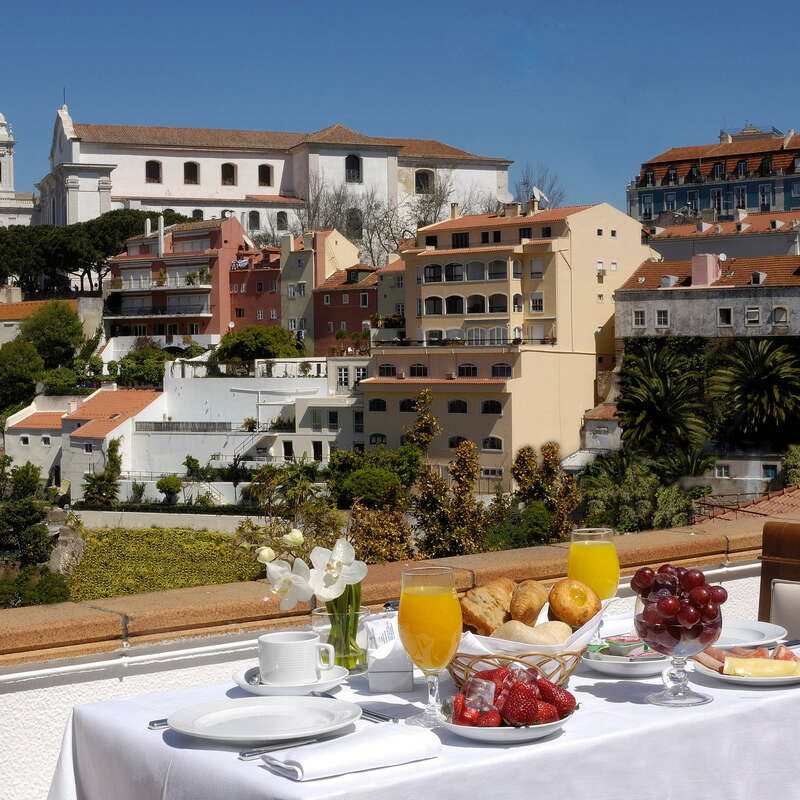 On a hilltop on Lisbon's historic center, this hotel will appeal to those who want to see the sights and soak up a sense of history, rather than luxuries such as spas, pools, and gyms, space is at a premium in these cramped streets. This is the oldest quarter of the city, and it maintains something of a 'shabby chic' vibe--expect to see some graffiti and rather rundown buildings alongside the grand historic monuments and magnificent views from the many miradouras (panoramic viewpoints). Guests should be prepared to do a bit of walking -there's no metro in the immediate vicinity, but the famous number 28 tram rumbles along the streets close to the hotel, whizzing past many of Lisbon's top sights as it goes along. Jump aboard at Martim Moniz square to enjoy the ride from start to finish--but be aware that things get crowded (watch out for pickpockets). Lisbon is a compact city, and those who don't mind exerting a little energy will find that seeing the area on foot is a good way to take in the sights. Taxis can be reluctant to make the climb up here, but booking an Uber is easy enough, and staff can arrange airport transfers. Fado fans might want to book a table at Maria da Mouraria (10-15 minute walk) for traditional Portuguese fare accompanied by soaring vocals at what is considered one of the most authentic fado spots in the area. 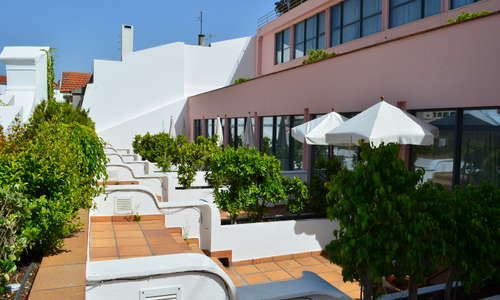 Another interesting option is to check out the excellent Chinese restaurants surrounding Martim Moniz square--many, such as Chines Clandestino (15-minute walk) serve top-quality Chinese dishes in family apartments whose front rooms serve as small restaurants. The setting may be unusual, but the food is absolutely delicious and the prices remarkably cheap. Winebar do Castelo (5-10 minute walk) serves a staggering array of vinhos from every region of Portugal, including the famous vinho verde from Minho, and excellent red, white and rose Ports. During the summer, be sure to visit Topo (6 minute walk), a rooftop bar overlooking Martim Moniz square, whose unassuming location on the top of a commercial center has stunning views, and attracts a hip crowd with DJ sessions and cocktails. 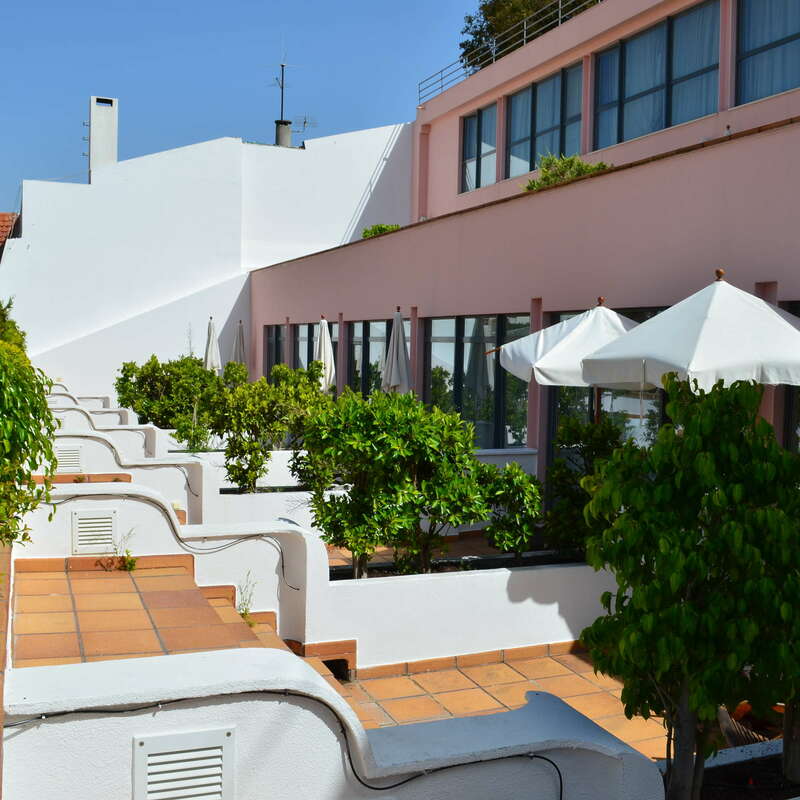 A 2016 newbie from the same team is Topo Chiado (10 minute walk) where guests can enjoy outdoor drinks on a gorgeous terrace overlooking the Santa Justa lift. 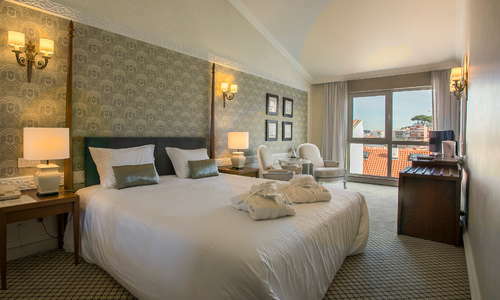 The Olissippo Castelo has terrific service, equally impressive views, and a location that is perfect for sightseeing and soaking up Lisbon's lively nightlife. 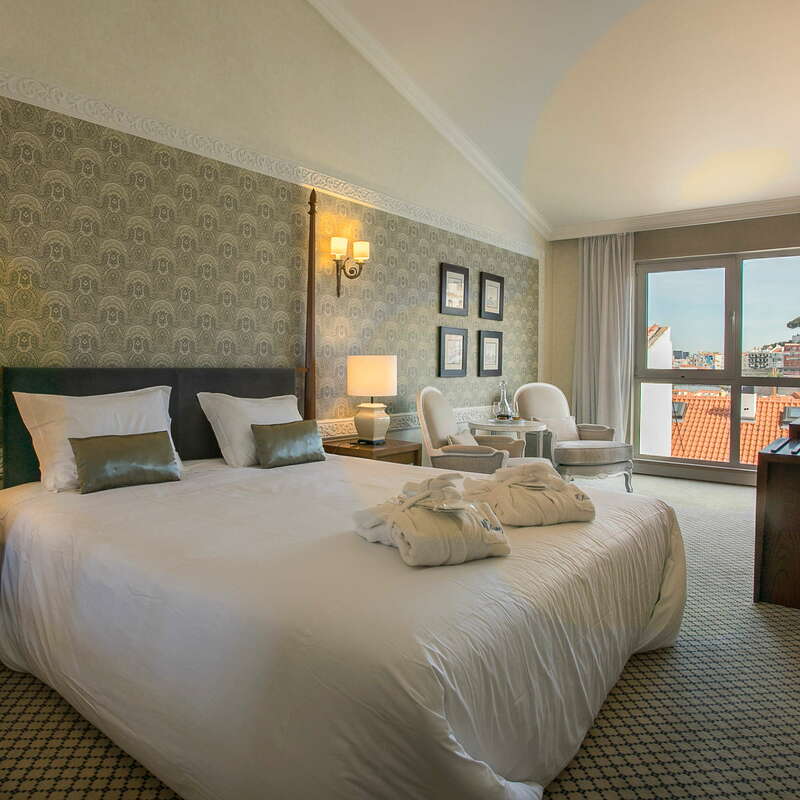 Visitors could hardly be better placed for a trip to Lisbon's Moorish castle, and the maze of streets that span out from beneath the castle ramparts offer plenty of tourist appeal. The pantheon, cathedral, and some interesting Roman remains are all within easy walking distance, and the newly-hip Martim Moniz, with its street food festivals and a famous rooftop bar/restaurant, is also close at hand. 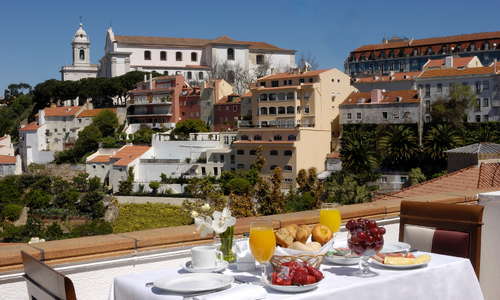 The very central location is great news for foodie visitors to Lisbon--the cobbled streets of Alfama and Mouraria are lined with traditional tascas and fado restaurants, and the many esplanade bars and outdoor refreshment kiosks are busy year-round. Aside from the many wine bars, tapas spots, and modern gin joints of the Alfama, guests are within an easy walking distance of the famously lively Bairro Alto.